Narromine’s aviation story spans over a century; stretching back to 1916 when a local farmer built himself a small aeroplane. This little town out in the central west has been a pivotal part of Australia—and the world’s—aviation history. Its airstrip has played a part in the first Australia to England airmail system, hosted an RAAF wartime training school, been a stop-over for the 1919 Great Air race and is now home to the Narromine Aviation museum. The museum has just opened a new extension effectively tripling the space available for exhibitions and enabling the display of three unique aircraft. 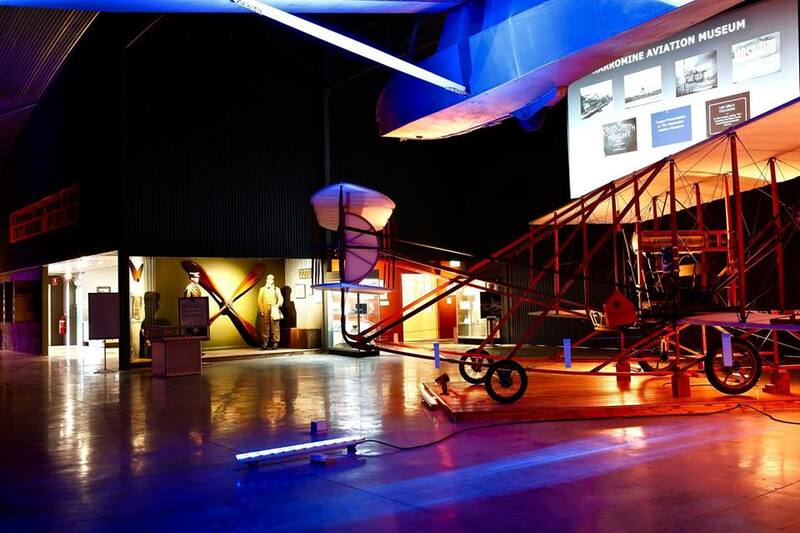 A locally-built 1938 Corben Super Ace homebuilt aircraft lovingly restored by the local Men’s Shed group, a Venture glider built by the Dubbo Gliding Club in 1950-53 and a Wright Flyer replica now take pride of place in the new wing. A special place has also been reserved for a Tiger Moth which the museum is looking to acquire. The Narromine Aerodrome is unique in Australia as it has retained much of its wartime layout with many of the buildings dating between 1937 and 1944. You can still see evidence of airmen’s accommodation huts on the grounds and a replica hut is now on display in the new museum space. The collection also boasts a number of WWI medals and memorabilia. There is even a display dedicated to the local polo club which we’ve been told has an aviation connection but you need to go and see it for yourself to discover why. Museums & Galleries NSW provided a $7,500 Volunteer Initiated Museum grant for the museum to carry out curatorial and installation work in the new wing this year. 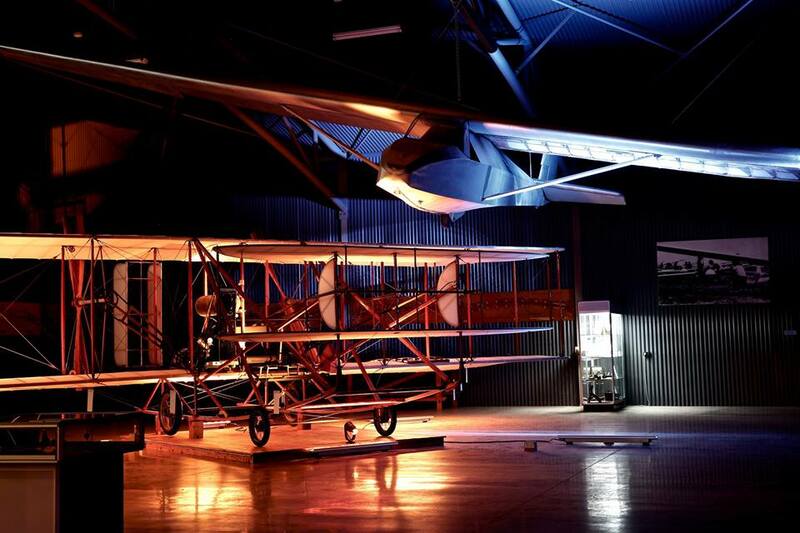 The work has focused on preparing displays for relocation, including hanging the Venture glider, relocating the collection and upgrading the collection records. Narromine is not finished yet! The ambitious museum still has plans for a book, an acquisitive sculpture program for the grounds, a commemorative display for RAAF graduates and an even newer building for their beloved CAC Sabre jet fighter. Watch this space because Narromine’s aviation story isn’t close to finished yet.